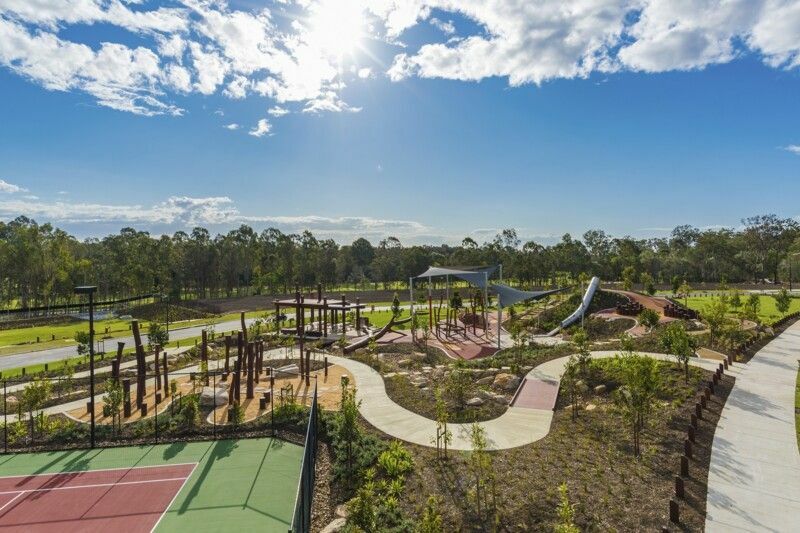 Experience in greenfield development, infrastructure and large-scale parkland realms enhances our capability to deliver landscape construction services across Queensland. The reason we have stood the test of time is due to our core principle of being ‘a better partner’. Eureka Landscapes prides itself on being able to work in environments that require multiple organisations working collaboratively towards a common goal. We continue to develop better practices, increase efficiency and provide an all-round improved outcome for our clients. We are committed to delivering high quality construction outcomes that create places which can be valued and enjoyed by local communities. From the outset we establish a partnership with our clients to understand their design – not just the brief and the drawings, but their vision, their enthusiasm, their ethos and their creativity. This grasp of the overall project provides a sound basis for a well-planned and well-executed project. Communication, collaboration and teamwork are vital to successful outcomes. With a Eureka Landscapes director managing each of our major projects the workflow is maximised and any potential problems are identified early and solved with minimum interruption. Our highly trained employees bring extensive knowledge and experience in all areas of landscaping. Having worked together for many years they are able to slot into teams as required – versatility that helps us complete each project as smoothly as possible. Memberships with Landscape QLD, QMBA, HIA and UDIA attest to our commitment to maintaining our accreditation, professional development, expertise and staying up to date. Our commitment to the design industry through state partnerships with AILA (Australian Institute of Landscape Architects) and AILA Fresh allow us to stay abreast of current design trends and challenges, and to provide assistance where we can. Whatever the challenge before us, we know that we have the experience, versatility and expertise to smoothly deliver the project. From estimating, planning and project management, through all the stages of construction and maintenance, the Eureka Landscape team’s skills, capabilities and experience lead to outstanding outcomes. A strong factor in our success is our people – Many of whom have been with us for many years. Our training programs allow them to continually build their skills and to contribute to our reputation as an industry leader. Knowing that reliable tools, equipment and machinery are essential to our workmanship, we own, service and maintain all the equipment needed to complete each task. Experienced project managers and foremen schedule the availability of Eureka Landscapes’ equipment, thus avoiding costly delays in maintaining the workflow of projects.